Most PEAS are a cool weather crop. Sweet Peas (garden peas), Snap Peas and Snow Peas are cool weather crops. Southern Peas are heat tolerant and grow well in HOT climates. PEAS, in my opinion, are one of the most under rated crops. Are you ready to grow PEAS? 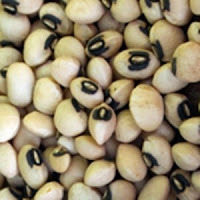 Peas will appreciate a good sprinkling of wood ashes to the soil before planting. Sow seeds outdoors 4 to 6 weeks before last spring frost, when soil temperatures reach 45 degrees F.
Get them in the ground while the soil is still cool but do not have them sit too long in wet soil. It’s a delicate balance of proper timing and weather conditions. For soil that stays wet longer, invest in raised beds. Intercrop peas with fast-growing cool-season crops such as spinach or radishes. After final harvest, follow with late squash plantings or fall-harvested cool-season crops such as broccoli, leeks or potatoes. Sow fall crops about 8 to 10 weeks before first frost date. Fall crops can be disappointing if hot weather persists. Powdery-mildew-resistant varieties are best for fall crops. Do not use high-nitrogen fertilizers. Too much nitrogen will result in lush foliage but poor flowering and fruiting. Inoculation with Mycorrhizae may be beneficial if peas have not been grown in the past. Do not plant peas in the same place more than once in every 4 years. Avoid planting where in places where peas have suffered before from root rot. To avoid mangling the vines, use two hands to harvest peas. When green peas are ripe, harvest them daily, preferably in the morning. 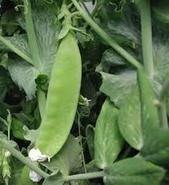 Pick snow peas when the pods reach full size and the peas inside are just beginning to swell. For best flavor and yields, allow snap peas to change from flat to plump before picking them. 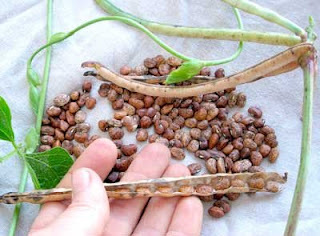 Gather sweet green shell peas when the pods begin to show a waxy sheen, but before their color fades. 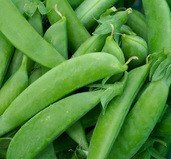 Immediately refrigerate picked peas to stop the conversion of sugar to starches and maintain the peas’ crisp texture. Promptly blanch and freeze your extra peas. Very interesting and useful, thank you for sharing at The Really Crafty Link Party this week. Pinned.